It had become apparent that both Saturday and Sunday (and maybe Monday) would be fine and calm for cruising and so I was kept busy planning the courses and waypoints to firstly re-position Lady Martina in the west of The Solent and to fill up with fuel ready for our cruises in France, where it might be more expensive. I had checked with both Cowes Fuel barge and Itchen Marine but Lymington were cheaper and more convenient and they had a berth for us for tonight as well. 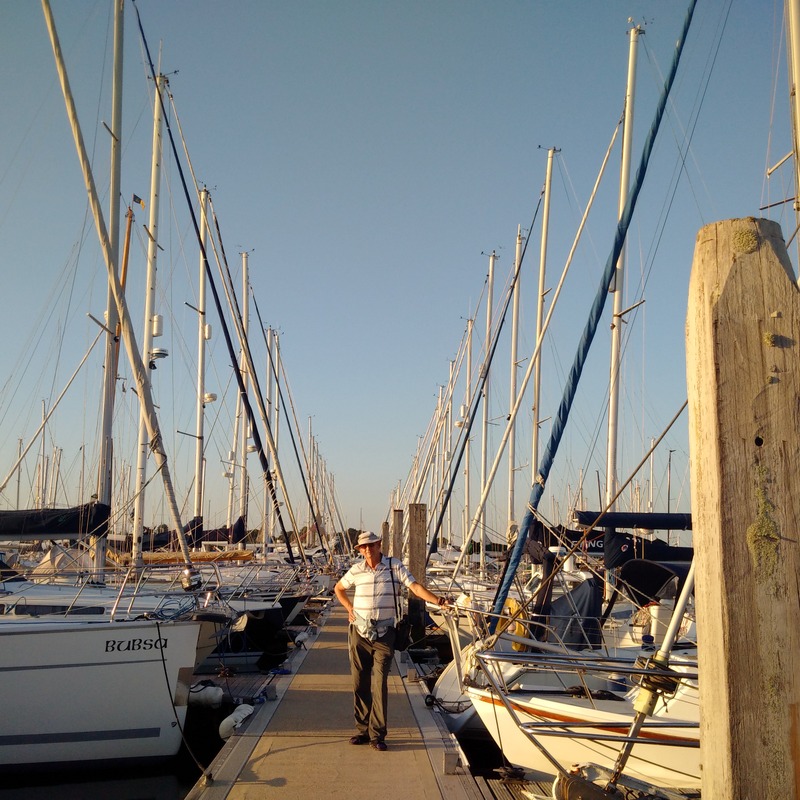 I would have liked to have stayed with the Howard Hayles yard in Yarmouth IOW but his pontoons were full and so I had arranged the best outcome; even if it did mean spending over £50 for a berth tonight, the most I have ever paid! Time had passed quickly this morning and it was after 1pm by the time we were ready to leave and the Gunwharf Quays staff were starting to chase us as they had lots of vessels arriving. 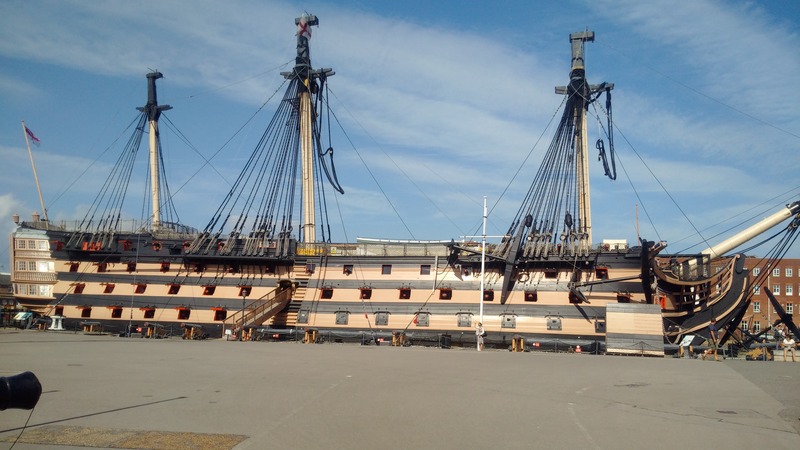 There has evolved a rather unhelpful view around The Solent that overnight berthing fees are valid only until noon the following day and that is not always a safe, helpful and convenient time to leave from the point of view off passage planning. This trip from one end of The Solent to the other was quite windy and wavy as the breeze today was up to 18/19 knots when it was against tide near The Needles. It was also a very warm day and we had trouble keeping cool. 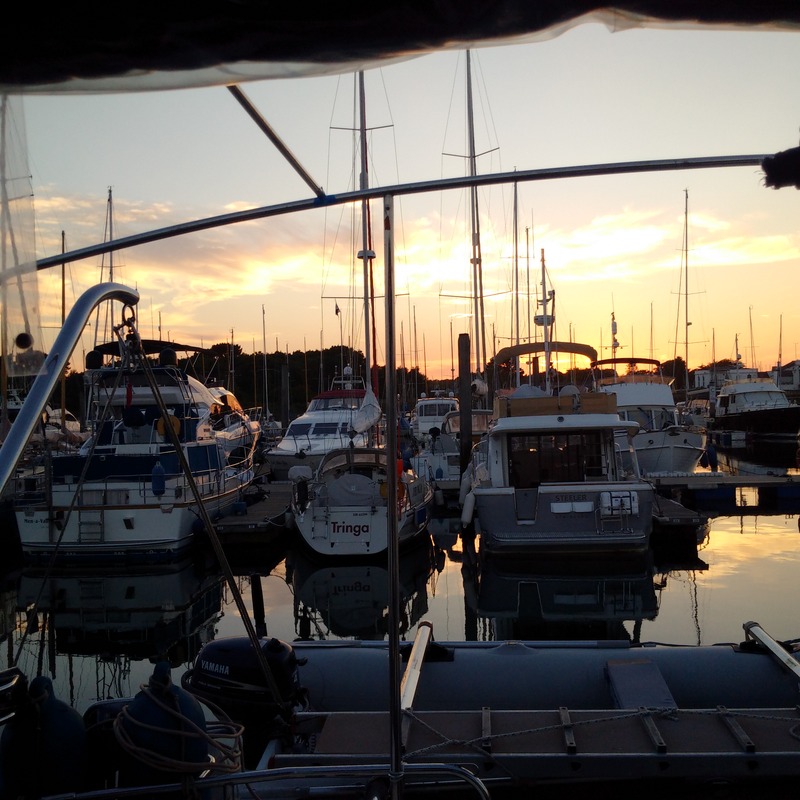 Lady Martina managed this slight/mod sea state very well and we cruised easily up Lymington River and into the Haven Marina. The main trouble then was that a huge motor yacht was taking on thousands of litres of diesel at the fuel pontoon but we hung around and got in before other waiting yachts to buy our 400! Our berth was fine but expensive and we enjoyed some soup and then washed the boat down and then had that walk.